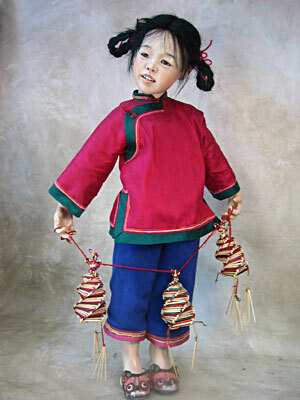 A Chinese child to warm your heart happily displaying her straw ornaments. 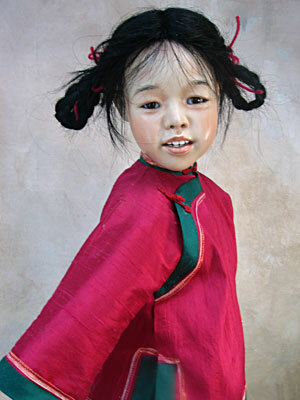 She wears a fuchsia pink silk tunic trimmed in green and blue silk pants. Her shoes are vintage Chinese. 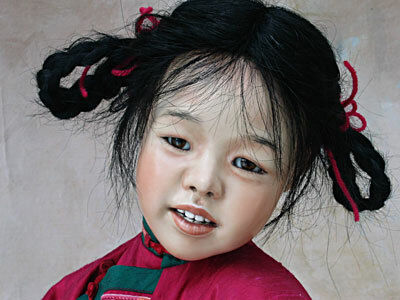 She has a black human hair wig.